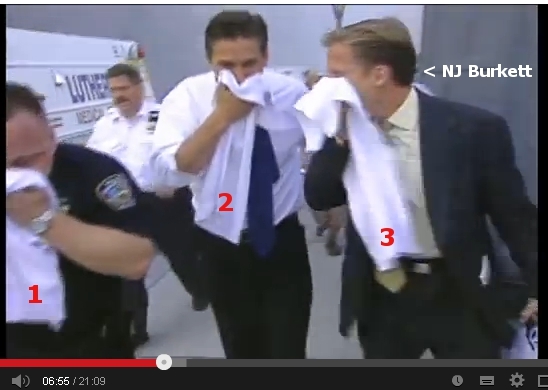 "Gas masks" (such as the 3 shown here) probably saved our favorite 9/11 heroes' lives. INTERNATIONAL COURT JUDGE - Sooo, defendant Burkett - do you have anything to say to your defense? PJ BURKETT - Uh...your Honor...it was just...just like a movie. They told me to be part of it - and I... I was just obeying orders! INTERNATIONAL COURT JUDGE : Well, that is not an acceptable line of defense, Mr Burkett. What you did is utterly indefensible! (Utterly fanciful, cinematic and non-physical collapse) - shot credited to "Marty Glembotzky". 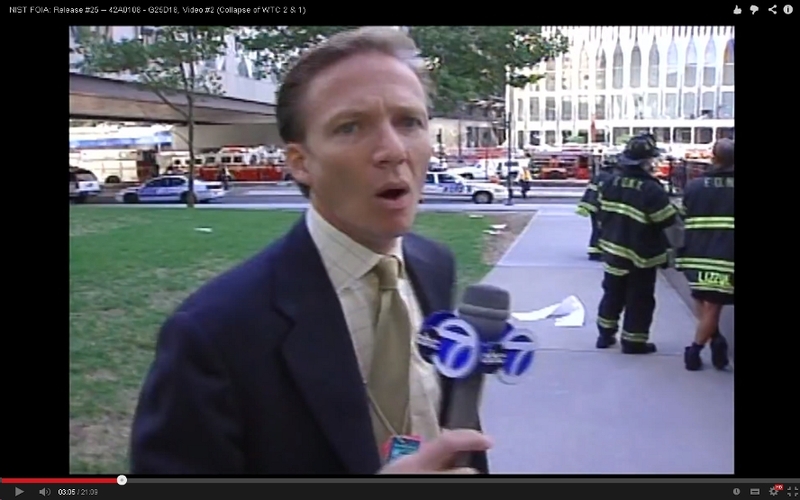 Most common "9/11 eyewitness" quote: "It looked like a movie!" Priceless speech of "NJ" about his "experiences" in 9/11. 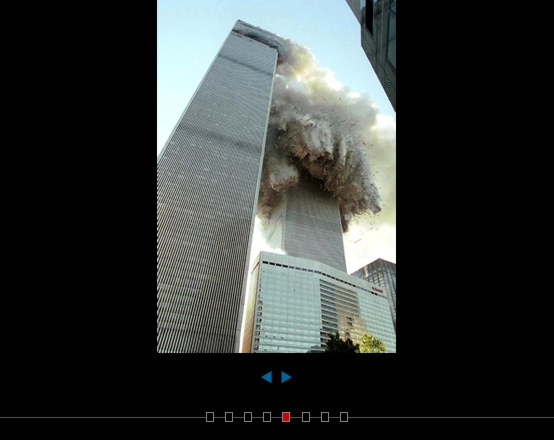 "There are very bizarre people who have some very bizarre theories about September 11th..."
Last edited by Viterbi on Wed Feb 19, 2014 4:47 pm, edited 1 time in total. ^ The fact that he has to read every word he is saying in this speech is more than a little telling. A wonderful Newton Burkett "fan-video" from Germany ! I think it's great that the hoax concept is getting mentioned in such a high level MSM venue as this Burkett speech. Even though it is done in a way that scoffs at the idea, it still introduces the concept to a great many people who hadn't even heard of it before. It also demonstrates that the idea of media fakery has come a long, long way. From just a few voices at first it has now become so prevalent that the largest media machines are forced to deal with it. I remember back in the 1970s when I first heard that there were people who believed the Apollo missions were fake. Before I heard that I had no idea that anyone thought that and no suspicions about Apollo or NASA. At first the idea seemed bizarre to me and I rejected it but slowly over the ensuing years I eventually got around to seeing that it was true. But, it started with simply being informed that there were people who thought it was fake. The truth can take time to "sink in" but it does eventually get there. "MARTY and MARY" were standing side-by side ! I just bumped again into this alleged photojournalist "Mary Altaffer" - who has THIS image posted in her own photography portfolio. Yes, Mary has this pic posted on her website - clearly indicating that she's the author of it - and owns its copyrights. Check it out for yourself. Now, dear readers, please realize that if this extraordinary image were a true photograph, it would have won the famed Poo-litzer prize a hundred times over. There simply cannot be a more spectacular close-up picture of this century's most defining news event. Yet, how many of you have seen it? Has this image been hailed as such? And are we to believe that Mary - or anyone standing so close to the WTC - escaped alive from this (alleged) "9-second" collapse? 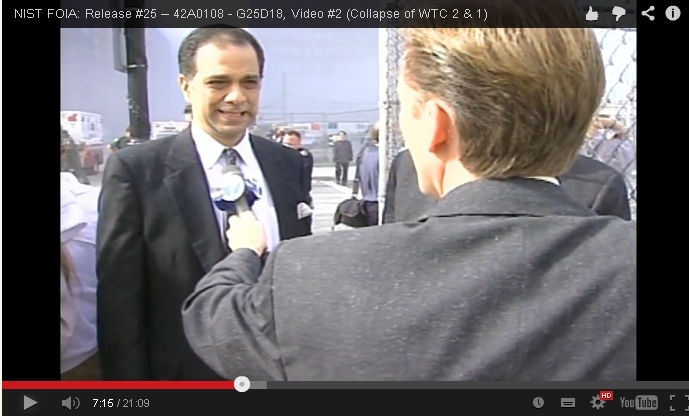 So, ladies and gents, we are asked to believe that Mary and Marty were standing side-by-side, both capturing with their (video and still) cameras these extraordinary close-up shots of the WTC2 collapse - with both surviving unscathed from what some funny people contend was a nuclear demolition event which lasted for ... well, "9 seconds"!... according to NIST, that is. 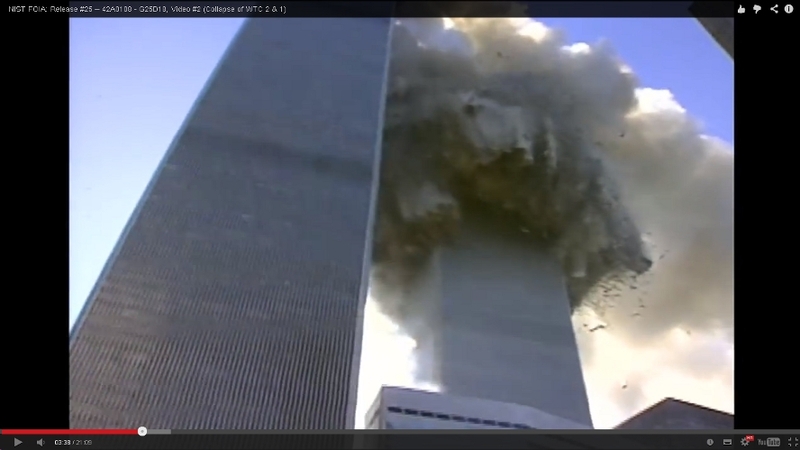 (WTC1, we are told, collapsed in "11 seconds"...). Believe it if you will, folks - believe it if you will. I rest my case - which is, for all new readers of this forum: NO real imagery exists of the 9/11 event. 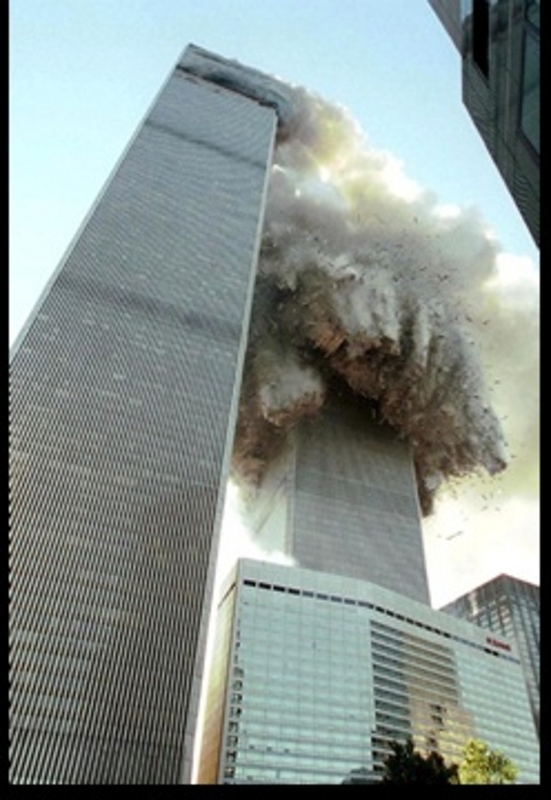 The towers were demolished behind a military-grade smokescreen. 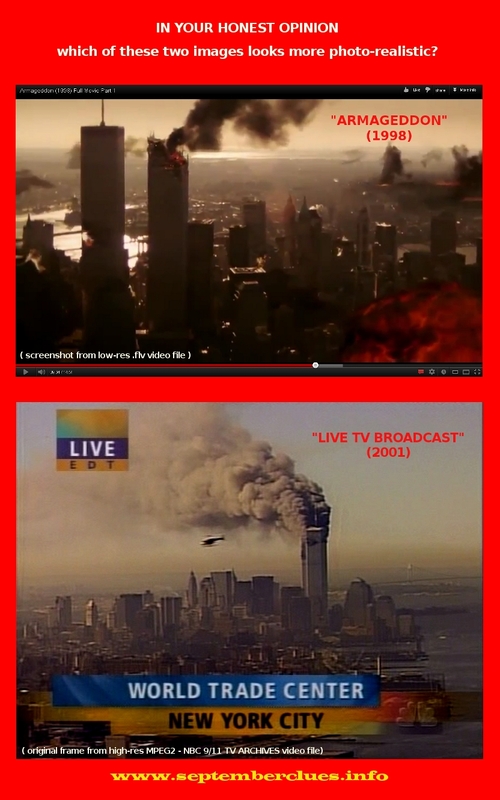 NO bystanders were able to record / document any useful imagery of the tower collapses - since the WTC complex area was enveloped in smoke. ALL the extant videos/photos published by the media (such as the above shots) are computer-generated. Does anyone know how to contact Marty Glembotzky? 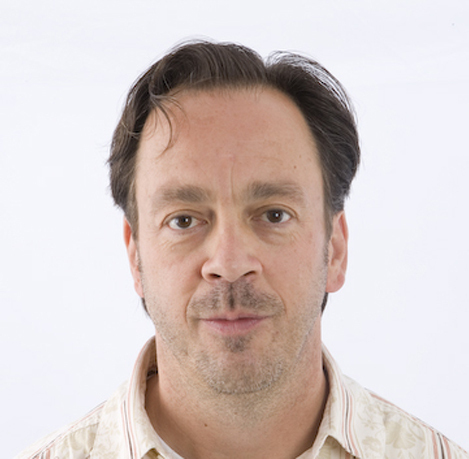 simonshack wrote: Does anyone know how to contact Marty Glembotzky? Some "demo reels", including his infamous "King Kong man" video introducing NJ Burkett and Louie Cacchioli. I'm wondering how Marty could have recorded the "King Kong man" video from the ground. Supposedly, the scene was happening nearly 100 floors above where Marty was. The perspective shown is impossible, only could be feasible if the images were taken from a high place. Viterbi wrote: I'm wondering how Marty could have recorded the "King Kong man" video from the ground. Supposedly, the scene was happening nearly 100 floors above where Marty was. The perspective shown is impossible, only could be feasible if the images were taken from a high place. Oh - and what an impressive website Marty's got there. "7 times local EMMY Award Nominee" /"Associated Press Award Enterprising Journalism 1998" / Long Island FOLIO Award “Best of the Best“ 1996 / etc...etc.. and the only still photo to be found on the web of multi-award-winning photojournalist Marty Glembotzky is the below image from this utterly bizarre Twitter account? "One of the top attractions in Washington, D.C., the Newseum's 250,000-square-foot news museum offers visitors a state-of-the-art experience that blends news history with up-to-the-second technology and hands-on exhibits. 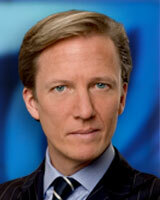 The Newseum Institute serves as a forum for First Amendment study, exploration and education." hoi.polloi wrote: If and when we can show "economy of players" it's a good argument for fakery.. The "economy of players" subject is a fascinating one. It would seem that this paradigm extends beyond 9/11 - and that the folks participating in the various American psyops (year after year) are less numerous than we may have previously imagined. "Joseph S. Fichera is one of the founders and the current chief executive officer of Saber Partners, LLC, a New York financial advisory firm known for its team of seasoned experts in investment banking, legal knowledge, and corporate management. 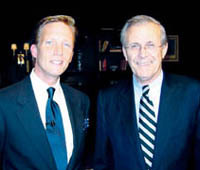 (...) He is a frequent guest commentator on financial news media, including Bloomberg Television, National Public Radio, CNN Financial, and Fox Broadcasting. " I discovered this type of thing when I investigated some cases of 'green-washing' to convince some people I knew that they shouldn't support mainstream environmentalism like Earth Hour. I found that the Chairman of World Wildlife Fund was a former Coke CEO, who had got the top job at WWF just in time to create a Coke can colored white with a polar bear on it around the time Coke was accused of committing serious environmental crimes in India by poisoning ground water. No evidence that any Polar Bears were helped by this so far. Or Indians. I also learned that the man running the ATA, Alternative Energy Association, responsible for creating many of the wind turbine clusters in my locale was CEO of BP at the time the EPA's top investigator (who now works for Sea Shepherd) described BP as a serial environmental criminal and the worst offender in history. It is General Electric building most of these turbines while the same meta-corporation owns the Weather Channel, providing plenty of scary 'Climate Change.' They are also involved in arms manufacturing through these circular, self-supporting networks so the media approved green movement are inseparable from the anti-terrorist crusaders but using a different archetypal enemy and aimed more towards youth and anti-war leftists. Sometimes I hate using all these labels and stereotypes, but sadly we are dealing with large scale managed components of predictable mental directions in large part because of the tight co-ordination of a relatively small pool of managers. They ensure the consistency of the overall 'reality' they subject the audience to. I have spent hours on end clicking through the board members of the major corporations, financiers and NGO's. It's like musical chairs. Another good one is the BBC and Tavistock Institute hierarchy, lots of crossover there and it extends to affiliates like the ABC. I find it rather astonishing (if not depressing and/or tragic) to see how many folks still cannot bring themselves to accept that the 9/11 imagery was essentially a prefabricated special fx Hollywood action movie. I can't believe that, after all these years, this is still (seemingly) so hard to understand, especially on the part of 'cutting-edge' media fakery Youtube researchers / videomakers such as "Russianvids". Of course, I'm assuming here - for the sake of good will - that "Russianvids" is NOT one of the numerous cointelpro disinformationists - but only your average, mindless simpleton. In his latest video (yesterday, Jan 30, 2016) Russianvids uses the absurd "WTC2 collapse scene" featuring media clown Newton Burkett (as roundly exposed in this thread) to try and 'ridicule' the idea that CGI was employed in the making of that particular "WTC collapse newscast" clip aired on ABC. He points at the people / firefighters seen standing at the foot of the collapsing tower and says : "Hey, are these people CGI ? Gimme a break!" Many folks seem to be stuck with the "CGI" term (Computer-generated imagery) which, in itself, is correct insofar it describes the techniques used in movies to create, for instance, "exploding / collapsing buildings destroyed by alien spaceships". 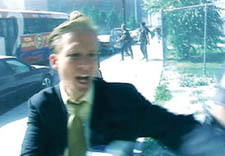 On the other hand, people seen standing nearby / or running away from such disaster scenes will NOT be, technically speaking (in most such movies, that is), "CGI-crafted people" - but just (quite real) actors made to act / run around on a movie set and later inserted on a separate layer in post-production. - Yes, the exploding/collapsing (top-down!) Empire State is a CGI construct. It is NOT the real building. - No, the people / onlookers seen standing / running on the streets are NOT digitally-crafted CGI people. Again, I can't believe that I need to keep reiterating this basic concept over and over, year after year! Do not MOST people go and watch Hollywood action / disaster movies ? Do they think that everything that unfolds on the screen (such as explosive / dramatic sceneries) MUST have occured in reality - just because REAL people are seen interacting with said sceneries? 'Gimme a break' - indeed. simonshack wrote: - Yes, the exploding/collapsing (top-down!) Empire State is a CGI construct. It is NOT the real building. Actually the destruction sequence owes a lot to the use of scale miniatures (this documentary concentrates on the White House sequence but you can clearly see the "Empire State Building" being blown up at 7:16). It's a simple process & by the late 90's Hollywood was VERY good at it... it would seem, to me, to be relatively easy to make a movie & "get away with it" rather than kill hundreds or thousands of wealthy people (the vast majority of whom just 'coincidentally' appear to have been simulated) & cross your fingers. 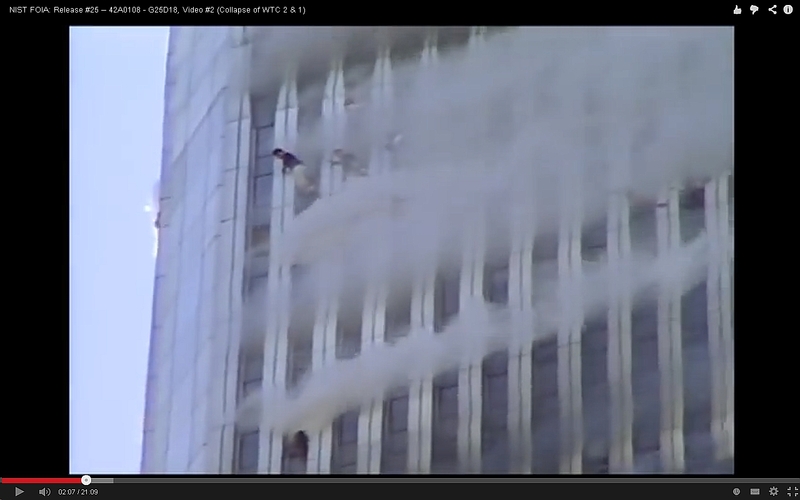 Saying that if the WTC was a scale model then its antenna should have fallen in the same direction with every video. Whatever the exact techniques used 'Russianvids' is clearly pretending to be ignorant of green screen technology... does he also believe this reporter is following a US Navy destroyer?